This piece was first published on the NYR Daily on May 19, 2016. Kaili Blues, an eccentric, remarkably assured first feature by the young Chinese director Bi Gan, is both the most elusive and the most memorable new movie that I’ve seen in quite some time—“elusive” and “memorable” being central to Bi’s ambitions. Predicated on time travel but hardly science fiction, the film is set in and around Bi’s native Kaili, a city in China’s south-central Guizhou province, a region of subtropical highlands that is home to the Miao people, a minority that shares cultural affinities with the Hmong of Indochina. The protagonist, Chen, an ex-convict perhaps 50 years old, now working in a modest medical facility in Kaili, takes it upon himself to rescue his feckless half-brother’s young son Weiwei, who may have been sold into servitude to a clockmaker in a nearby village. Bi Gan, director of Kaili Blues. Plot is secondary. 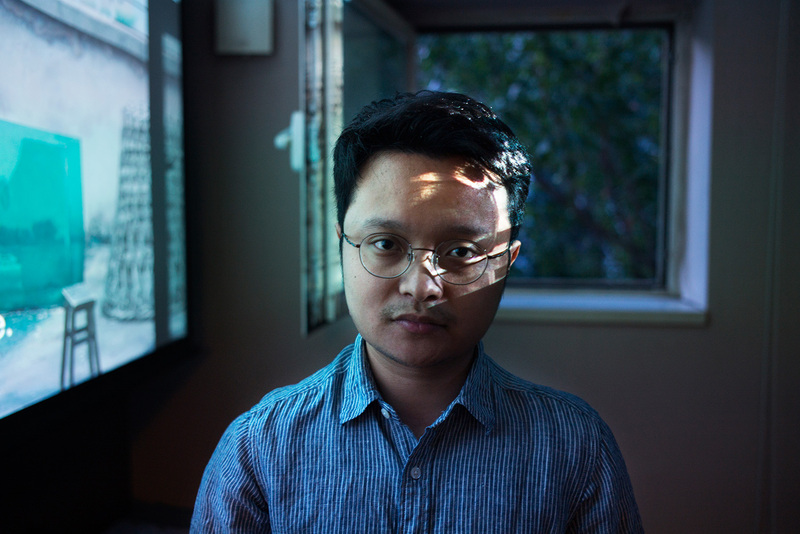 Bi, who was 26 when he made Kaili Blues, seems primarily concerned with developing a film language that treats memory as a tangible thing. Objects here are pieces of time. In addition to searching for the boy, Chen agrees to look up a man who had once been his elderly co-worker’s lover and present him with several remembrances—including a shirt that had long ago been intended as a gift and a tape cassette of old pop songs. Bi is hardly the first director to dramatize temporal space or to seek to replace chronology with simultaneity. Alain Resnais and Chris Marker come immediately to mind. Bi is, however, less analytical and more intuitive. Kaili Blues is prefaced with a quote from the Diamond Sutra to the effect that Everything is Now. Past thought cannot be retained, future thought cannot be grasped, and present thought cannot be held. Go with the flow. It’s a fair warning. 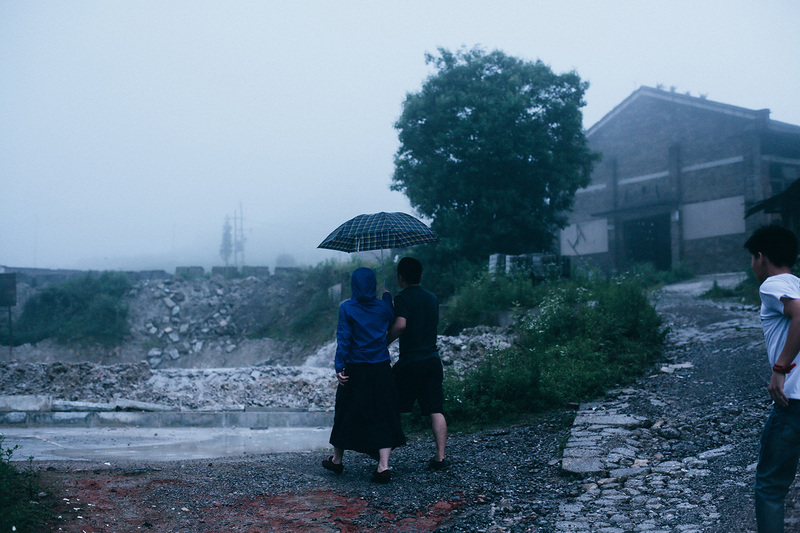 Kaili Blues begins with a flurry of vivid images—neither entirely connected nor completely disconnected. An introductory shot of a flickering light bulb is followed by a circular pan around Chen’s shabby clinic. Chen is next seen walking through some sort of dank storage cellar asking after a shipment of bananas. The radio news refers to sightings of a “wild man” (seemingly a legendary creature who is the local equivalent of a yeti). After an unattended TV set in an outdoor setting broadcasts the reading of a poem, Chen and Weiwei appear together in a dilapidated amusement park. These fragments can resemble Yasujirō Ozu’s so-called “pillow shots”—unmotivated cutaways to a landscape or interior or an object in close-up held for several seconds and typically used as a bridge between two scenes. Bi’s non-narrative inserts are precise but off-handed and not obviously systematic. Some cutaways are autonomous. Others introduce elements that will only make sense later in the film—such as the childish chalk drawings of clocks scrawled on a concrete wall or the recurring image of blue slippers floating to a river bottom that represents Chen’s memory of a dream. At times, the camera simply moves from characters to a pillow shot, pausing for example on a disorderly table top, thus creating a certain equivalence between the setting and the characters. Kaili Blues begins as a mosaic of discreet sensations, but once Chen leaves Kaili, the mode changes. Bi’s film becomes increasingly interested in continuous motion, the notion that movement in space is time made material. There is a long sequence on a strangely empty train—the camera shuddering, the light shifting—and an even longer one shot through the windshield of a car. As we transverse the mountains, Chen is heard recounting, perhaps to the car’s unseen driver, a story regarding a punishment he suffered in the coal mine where he worked as a prisoner. Chen is next seen following the railroad tracks towards the village of Dangmai. This rustic settlement is a zone where, it gradually becomes apparent, various time-states coexist or perhaps the Diamond Sutra is literalized. Here, Weiwei—whom Chen does not immediately recognize—has grown into a young man who makes a marginal living by transporting passengers on the back of his battered motorbike, and the driver and Chen’s dead wife, now a barber, reappear as well. Neither she nor Weiwei appears to acknowledge Chen. These relationships are dramatized, if not explained, during the course of a remarkable 41-minute single take, covering several miles and much of Dangmai. (In interviews, Bi has maintained that he developed the facility for extended sequence shots in his capacity as a maker of wedding videos.) Traveling first in a truck and then on the back of Weiwei’s motorbike, Chen rides through the countryside and into the town. There, he dismounts and goes to a tailor shop and to get a haircut. Meanwhile, Weiwei continues over the bridge, doubling back across the river even as the camera picks up and follows other characters, including the young woman who darns Chen’s shirt. She crosses the river ostensibly to purchase a child’s pinwheel but really for no other reason than to give Bi’s camera an excuse to circle around and cross back. This amazingly coordinated sequence ends with a listless crowd watching the band that gave Chen his initial ride. The scene, which is filled with musical analogies, ends with Chen joining the band to sing a song despite the fact that he can’t carry a tune. Leaving Dangmai, Chen resumes his quest. He locates the child Weiwei in a somewhat larger town, without making contact—although he does apparently connect, in an enigmatic long shot, with a group of traditional Miao musicians who are perhaps close to his colleague’s lost love. The last shots are of a moving train, presumably returning to Kaili. An arm flicks a cigarette out the window and the film ends. What makes this so engrossing? First, of course, is Bi’s highly original use of cinematic form. But there is also the fact that China now exerts the same fascination as “America” held for the European avant-garde a century ago. As much as it is about anything, Kaili Blues is about a place. 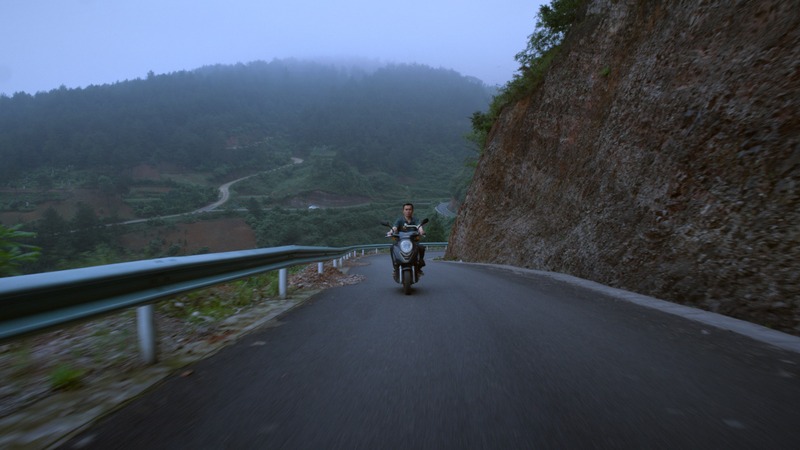 Although more fictional than not, Kaili Blues incorporates a number of documentary aspects. It’s partially set in Bi’s hometown. Most of the actors are locals. Chen is played by Bi’s uncle, whom he has identified as a former gangster like his character. The child Weiwei is played by Bi’s step-brother. His mode is not realism but what I have elsewhere called “real-ness,” as manifest in his movie’s central sequence shot. At least since Jia Zhangke established himself in the early 2000s as China’s preeminent director with a series of semi-documentary fictions, including Xiao Wu (1997), Platform (2000), and Unknown Pleasures (2002), similarly independent documentarians like Wang Bing (maker of the nine-hour portrait of industrial despoliation West of the Tracks) and Zhao Dayong (who spent six years observing a near-deserted backwater village for Ghost Town), to name but two, have occupied a vanguard position in Chinese cinema. Kaili Blues is less a semi-documentary than a mental travelogue constructed around a tour de force of choreographed “real time” cinema. It’s almost incidental that, in making his movie, Bi managed to engage the work of a half-dozen major film artists—not just Resnais and Marker, but also Andrei Tarkovsky, Béla Tarr, and David Lynch, all of whom seek to extract some transcendent energy from a particular, fastidiously observed landscape. Bi may or may not be familiar with their work. In any case, his movie never seems derivative. Kaili Blues is both absorbing and self-absorbed, which is to say that Bi never appears distracted from his own particular remembrance of lost time.